A Fortune 50 chemical company in toxic tort and asbestos matters. A European based water works component manufacturer against claims of design defect resulting in flooding damages. Two of the nations largest homebuilder in litigation relating to development issues and subcontractor liability. One of the world’s largest aircraft manufacturers against allegations of breach of contract and design defect. One of the nation’s largest home improvement retailers against general liability claims. A Massachusetts based specialty biotechnology company against claims of causing catastrophic property and personal injury damages from a natural gas explosion. A Texas based hydraulic pipeline component manufacturer against a multi-million dollar flooding claim. A nationwide steakhouse franchise against premises liability claims. Kip has written on cutting edge issues relating to civil litigation and deposition practice. He has co-authored articles on advanced strategies to prevent or limit the unnecessary depositions of corporate executives that have been published in legal and industry publications. Kip is also no stranger to the courtroom. His courtroom experience includes multiple jury trials, and numerous arguments in support of various pre-trial and dispositive motions. In 2016, Kip argued on appeal before the Maine Supreme Judicial Court seeking to affirm summary judgment for his client and the formal adoption of the sophisticated user defense to tort liability in Maine. Kip has additionally participated in several mediations and other dispute resolution activities that have resolved dozens of matters effectively for his clients. In recognition of his notable work on behalf of the firm’s clients, Kip was recently named to the inaugural "Under 40 Hot List" by Benchmark Litigation. The list recognizes the "achievements of the nation’s most accomplished legal partners of the age of forty or younger," and is compiled through a process of both peer review and case examination. 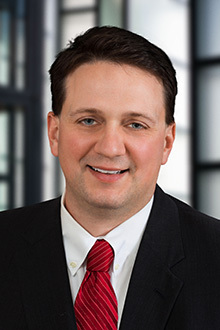 Kip joined Lewis Brisbois from the Boston office of a multinational law firm, where he was a member of the insurance and reinsurance department and aviation practice group. "Use Apex Doctrine to Protect High-Level Corporate Execs from Unnecessary Depositions," co-author, 35 No. 7 Westlaw Journal Asbestos 1, January 18, 2013. "Broad View Of GARA Opens Doors For Aircraft Manufacturers," author, Law 360, November 9, 2012. "Use of the Apex Doctrine," co-author, For The Defense, February 2012.